I borrowed this idea from Naomi Hattoway. 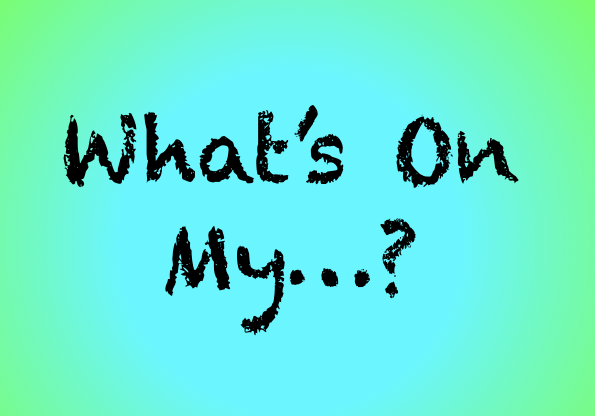 If you are inspired, feel free to link back, so I can see “What’s On?” in your life. VANITY: Is that the place where you’re supposed to keep makeup and stuff? Um, I have tweezers. And a giant mirror that magnifies everything eleventy-three jizillion times. Being 45 is like totally awesome. PERENNIAL TO DO LIST: I want to take all my clothes out of my drawers and closet and only keep the things I really wear. I should also do this with my shoes. I’d also like to convince my husband to throw out all the empty boxes he has stored in the basement, but that might be grounds for divorce. REFRIGERATOR SHELVES: Listen, Tech eats a lot these days. It’s hard to keep up, so even though I do a “big shop” once a week, somehow my shelves always seem to be empty. I have fresh fruit – blackberries, strawberries, blueberries and raspberries. And yogurt. ITINERARY: Heading to the Berkshires in a few weeks. Other than that? Not much. This is the time of the year where it’s just starting to get lovely around these parts. Things are blooming, and I can finally put away my sleeping bag coat. Probably. FANTASY ITINERARY: Israel. Do you hear me, Hubby? I want to go to Israel. PLAYLIST: I listen to everything from heavy metal to bluegrass. But mostly, I listen to Fleetwood Mac and Crosby, Stills & Nash. And Bruce Springsteen. And The Bee Gees. Basically, my heart lives in the 1970s. However, I sound exactly like Whitney Houston when I am alone in my car. It’s uncanny. NIGHTSTAND: A lamp. A clock. A book. Lip gloss. IPHONE: Words With Friends. Too many emails. Instagram is my new lover. Follow me! Because why wouldn’t you want to see pictures of my socks? Try not to over schedule anyone’s lives. Text happy emoticons to my husband while he is at work. He likes it. BUCKET LIST: Publish my book. MIND: My 3rd blogoversary is coming up on May 13th. I’m thinking about what I’d like to do for readers this year. BLOGROLL: I am subscribed to over 60 different blogs, which I read on Feedly.com. I follow writers, photographers and artists – all different kinds of folks who inspire me. 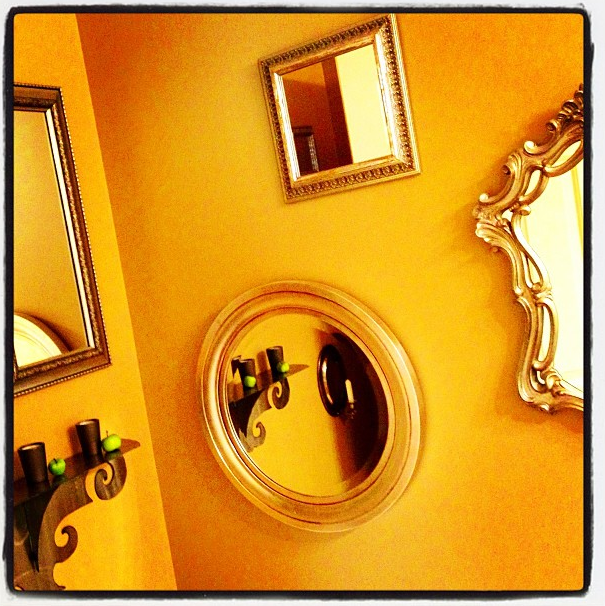 WALLS OF YOUR FAVORITE ROOM IN YOUR HOUSE: Our downstairs powder room has no windows, so we covered the walls in mirrors. Bizarre as it sounds, people LOVE going to the bathroom in our house. It’s a very happy room. LIQUOR SHELF: Hubby has his Scotch. There’s other stuff, too, but nobody drinks it. The Canada Dry Ginger Ale lives on the bottom shelf of the pantry, so I’m good. LAST CREDIT CARD STATEMENT: Biggest payments? First payment for Tech’s summer camp, our new kitchen table, groceries, gas. SCREENSAVER: I don’t have one. 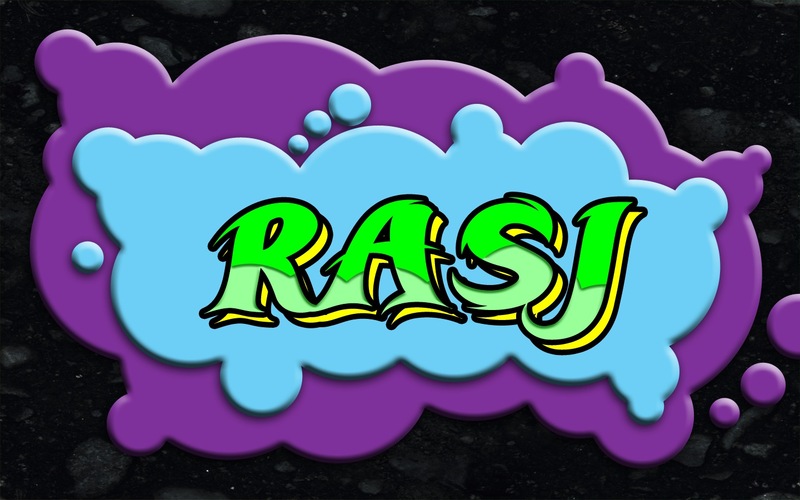 But Tech made this image for me as a background. I love it. Is there anything the boy can’t do? TV EVERY NIGHT: Tons of “Phineus and Ferb” episodes that seem to keep getting deleted. We can’t figure out how. Truly, it’s a mystery. TOES: I’m so glad you asked. I tried Essie’s “In The Cabana.” And I like it. Like the sky on a perfect day. I love this! I have one of those gigantically magnifying mirrors, too. They are not for the squeamish! Also, how sweet that you text your husband happy emoticons. So sweet! And you’re right. I absolutely want to see pictures of your socks. Absolutely. Have a great Shabbos! Rivki! I loved your list! Come back here, and include the link — so I can post it! Good luck on your upcoming concert! It sounds like you have music on the brain right now! And that’s a god thing! Oh – I forgot to link up! Thanks for reminding me!!! That was fun! Thanks for sharing all yo stuff. Lip gloss on your night stand?? Do you apply that when you’re coming or going? I’m trying to slow down these lip wrinkles. What’s your point? I apply my lip gloss right before bed and first thing in the morning. Just be lucky you don’t have lip wrinkles. I never even smoked! Love the mirrors in the bathroom. And your socks. And the toe color. Pretty much just love you! Glad you played along as well, fun huh? I loved your answers. And thank you for inspiring me. As always. “And a giant mirror that magnifies everything like eleventy-three jizillion times.” When you get to my age, you’ll want one that reduces everything to 1/100th size. Love the photo of your toes. 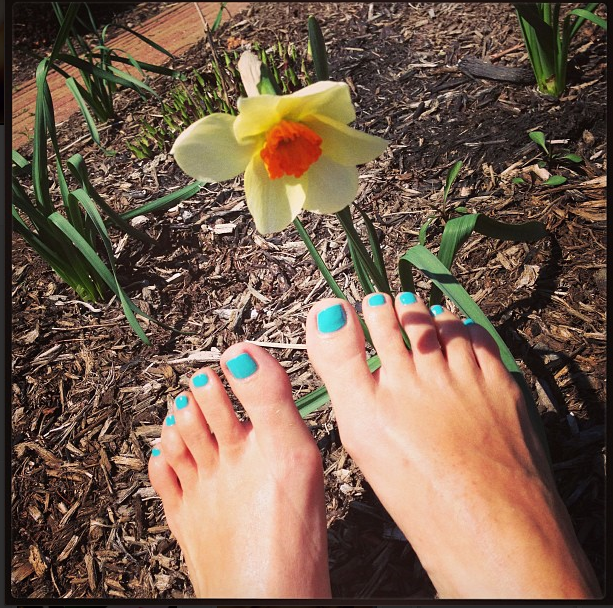 Now I’ll have to tell Susie Lindau she doesn’t have the only pretty feet in the blogosphere. Hahahahahaha! I don’t usually do colors like that, but I smashed my toe against something and one of my big toes is positively black. It just wouldn’t cover. So, I had to go with something a little different. It’s whimsical. Kinda different. Fun. You always make me laugh, David. How sweet! Getting to know you is so much fun. Spring is an awesome time. You are such a good sport! That was a lot of playing along to do and you accomplished it in your usual fine style! I love how you sound like Whitney Houston in your car … don’t stop believing! I’m also Mariah Carey and Barbara Streisand and Taylor Swift. It’s incredible. Seriously, I wish you could hear it sometime. But it doesn’t seem to work that way. Hi, Erm. The mirrors really do work well when you don’t have any windows. If you are looking for a decorating solution, mirrors are a great way to go! I got stuck at first base. Being British, I thought the heading ‘Vanity’ meant ‘what I am vain about’. But that was fun. I’ll give it a go later. Love your mirrors. And your jonquil. It’s lovely, as are your toes. Hi Maire! The nail polish was very fun. On that particular day, it was the same color as the sky. I should have held my feet up to the clouds. If you decide to do this, send me some linky-love so I can come over and see your answers! Love the mirrors. What a way to make a room less claustrophobic. Funny, I am talented when alone in the car also! Hi Kate! The mirrors are a lot of fun. It took a lot of time them all — most of them aren’t even pictured — but it really goes a long way in a room without any windows! OMG, like yours my kids eat so much food these days! I’d always been told that would happen, but somehow never realized how much it would be. Guess I should have just looked back to when I was a kid. What is it about girls wearing socks that don’t match? We get that at our house too! Renee, you are such a hoot! I love your socks, mirrors and toes. I really need to do my toes soon. It’s already sandal season here in north Florida. Kassandra: Hubby was down in Florida this weekend, and it was 88 degrees! Meanwhile, I have a pair of sandals that are just sitting in that closet waiting for me. I can’t wait to get down there again. Are you there full-time? It would be fun to meet up sometime! Hey! I thought I had the Whitney-when-alone-in-my-car gig? 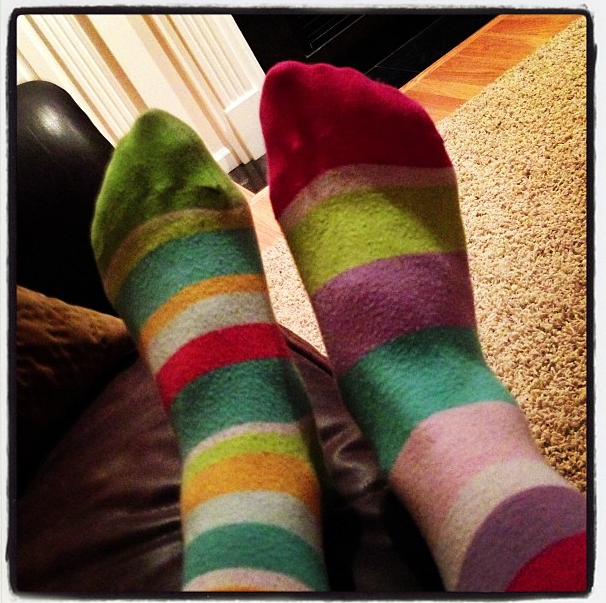 Loved your answers, your pics, your tootsies. Look for ping-back linky-love. You ROCK! Oh, Gloria! I hope you do this little exercise! It was a lot of fun. A lot of the posts I’d read didn’t include photos, so don’t feel pressured to include pictures. I’m visual, so I wanted to include a few pics. It was a fun little meme. If you do it, please let me know! I’ll come over to visit! Hi renée, I thought your “What’s on my …?” list was so good, I created my own. I hope you visit and give me a comment or a snide remark will do just fine, too! Thanks for the idea. Enjoy your weekend! I love your toe color! That you took the picture with a Daffodil, even better. The mirrors, perfect use. Well except for the magnification one, I can’t abide magnification any longer. It is wonderful you are not vain (know what vanity is) and thus are capable of working with magnification. That is what I have that nice little waxer for, she tells me. You mean you go somewhere? I think my time has probably come for that, too. It’s getting a little rough. Yes, the same please that does my mani/pedi also does waxing. They are spa like, it is a zen experience. They tell me what I need, I nod my head and agree. No mirrors for me. This was great!! Loved getting to know you even better. And I plan to stalk you (aka call you) this week! It was a fun little meme. Feel free to call me. Our last call was waaaay too short. Fair warning: May involves a lot of writing. It’s my blogoversary month, so I’m trying to schedule some cool stuff — without overwhelming. It’s a balancing act. Your feet are too adorable!! Mine are looking angry lately.. I think I need a pedi! Angry looking feet and Spring don’t mix. Maybe time to treat yourself. Nothing better than a good foot massage, 😉 Coming over to say hi! Your pingback magically appeared, but I’m happy to see your face, too! Mwah! You are not going to believe this but I have that SAME color on my toes!!! No way! I love this peek into your life and I’m totally stealing your bathroom decorating idea. I’ll give you credit – perhaps a small, engraved plaque in the corner! 🙂 Happy post – loved it! I should get onto this. The cobwebs on my blog need brushing off!